CPB Contractors, part of the CIMIC Group, will undertake the renovation between Eaton Road and Littlefield Road, which plays a crucial role in the Western Sydney Infrastructure Plan, a jointly funded road investment program between the State and Federal Government. CIMIC Group Chief Executive Officer Michael Wright said the company’s ongoing relationship with both levels of government provides continuity in regard to infrastructure upgrades. “Through CPB Contractors, CIMIC Group has a long track record of delivering high-quality roads and transport projects. We’ll continue to work closely with the Australian and state governments to provide important infrastructure for future generations,” he said. The Northern Road provides an important point of access from north to south between Liverpool and Penrith and intersects with major roads such as the Great Western Highway, M4 motorway and the M12. The upgrade will involve increasing 3.6 kilometres of road from two-lanes to a four-lane divided road as well as upgrading 2.5km of local arterial roads and improved public utilities. CPB Contractors Managing Director Juan Santamaria said the company has developed a reputation for being a safe and reliable source of infrastructural growth among the Western Sydney community. 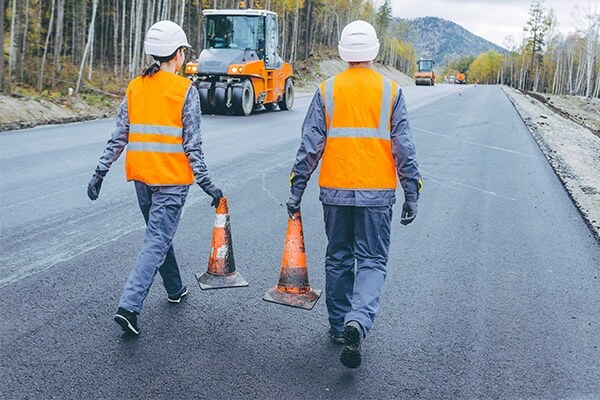 “Through the delivery of our projects, CPB Contractors connect communities in many ways, and our team is proud to be delivering improved infrastructure for the people of Western Sydney,” he said. CPB Contractors is also currently working with its joint venture partners on delivering Stage 1 of the Parramatta Light Rail and early earthwork for the Western Sydney Airport. Construction for stage 6 of the Northern Road upgrade is expected to commence in the middle of this year and conclude in 2021.